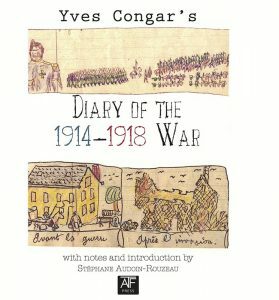 In 2015, ATF Press, an independent publisher in Australia, translated to English and published Yves Congar, O.P.’s Journal of a Theologian: 1946-1956 and Diary of the 1914-1918 War; as well as Marie-Dominique Chenu, O.P.’s Vatican II Notebook. 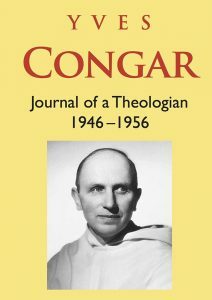 The great theologian Yves Congar kept, intermittently, a journal of the principal events in the life of the Church in which he was, to a greater or lesser degree, caught up. Gathered together here, these fragments constitute a lively and informed chronicle of the intellectual history of Catholicism in the decade after the Second World War. 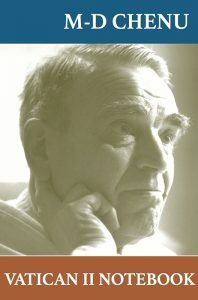 Father Congar had barely emerged from imprisonment when, on account of some of his publications, he found himself subjected first to the suspicions and then to the disciplinary sanctions of ecclesiastical authority. The journal of a time of trial, this book is thus an exceptional document concerning the relations between theological research and the Roman magisterium at the close of the pontificate of Pius XII. This publication, made up of the five small notebooks, was written by a schoolboy, and kept day by day between 1914 and 1918. They are written by a child of rare maturity, and carefully preserved by him, who was later to become one of the major theologians at time of the Second Vatican Council. This is the origin of a rather unusual book—diaries by children are rare!—that strictly respects the original manuscript with it drawings in coloured pencils, and even retaining the original grammatical and spelling errors. Yves Congar, the future Cardinal Congar, was only ten years old when the First World War broke out. Congar was born and raised in Sedan, in the Ardenn region of France, where there were many bitter memories of the defeat during the 1870 Franco-Prussian War. This book, therefore, is a particularly moving form of patriotism written at the time of the German occupation from 1914. This chronicle of daily life under the occupation of the ‘Boche’ (the word comes from the pen of the young Yves Congar) is accompanied by notes, written by Dominique Congar, nephew of the author, which casts a light on details of family life, explains the topography, and translates typical Ardennese terms. It is also accompanied by a remarkable historical study by a recognised specialist of World War I, Stéphane Audoin-Rozeau, to supplement the information given by Yves Congar, and connects his story beyond the anecdotes of the ‘great story’ to a wider context.